The one night stand between Cougar and Cub causes a downward spiral as the supervillains in Megaville leap to exploit the situation. Can Minerva and Billy mend their partnership and fend off the ferocious attacks of their enemies? 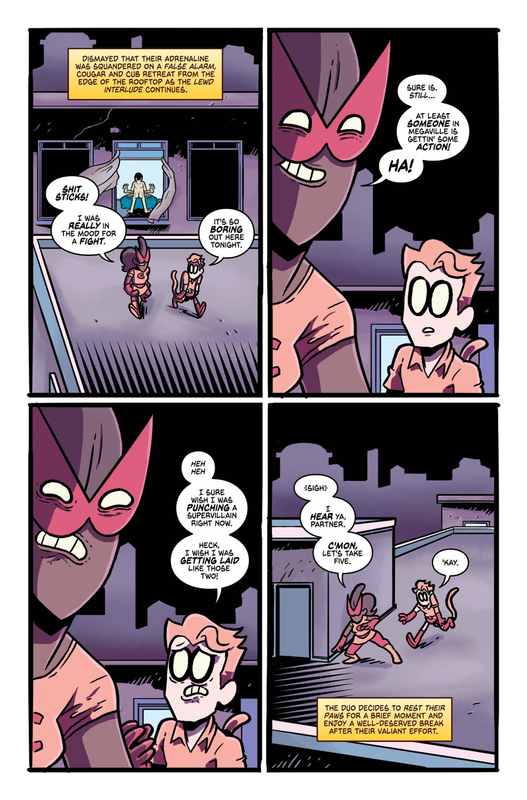 Or will our champions let a night of indiscretion end their crimefighting careers? But that's not all! 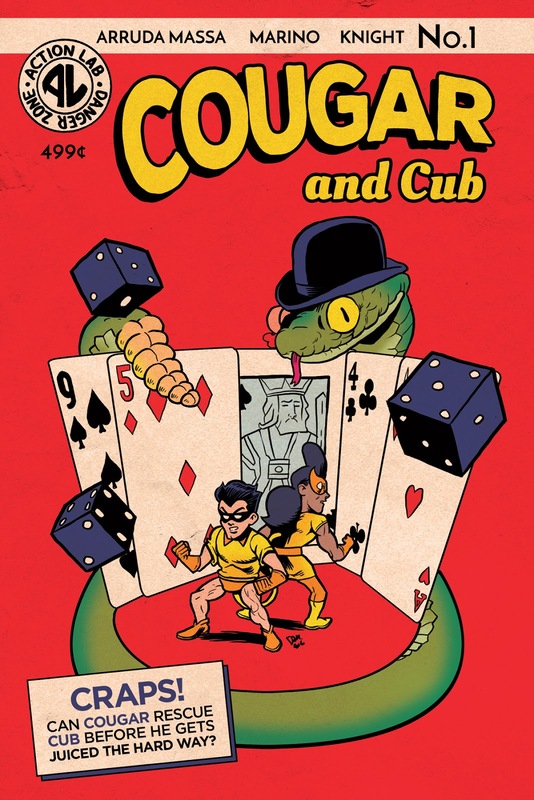 Each issue sends you on a trip through time with our Flashback Backups, revealing secrets of the past through Cougar's exciting adventures from the golden age through the present. Writer Nick Marino shares his excitement of working on this new title: "I'm so thrilled to share Cougar and Cub with readers. This is one twisted tail (hehe) that I never dreamed would see print like this. Daniel Arruda Massa's art is on a whole other level, channeling incredible influences from animation, underground comix, and classic superhero stories. Rosie Knight's backups are delicious bites of meta fiction, mixing the past with the present in unexpected and exciting ways. 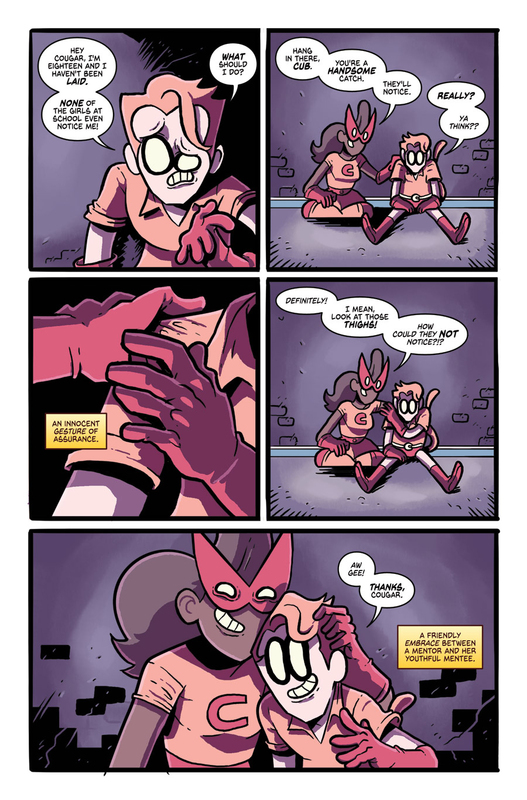 I can promise you one thing: you've never read a comic book like this before!" Plumb the depths of passion with our Love Is Gross variant, or take a trip to the golden age with our Flashback Backup variant cover! COUGAR AND CUB #1 is due out on January 4, 2016.